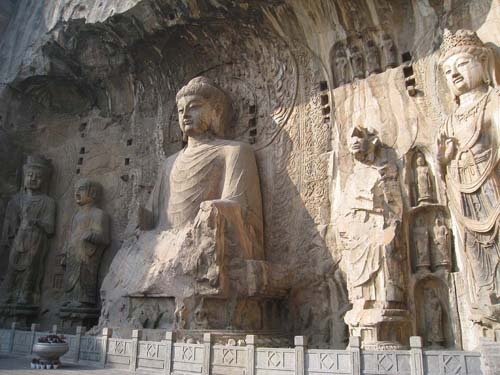 UNESCO Heritage Site, Longmen Grottoes Stone Carvings near Luoyang, Henan Province. Photo by Easytourchina. In April I had the honor of being invited to sit on a panel at a conference sponsored by Forbes China in Luoyang. The discussions that took place during the event centered around the next 10 years of development in central China. 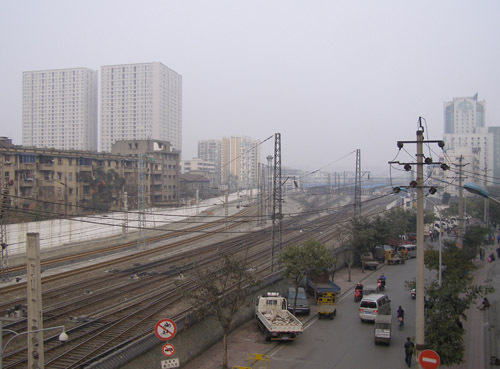 With Luoyang being the host, much of the discussion pertained to the city itself. Luoyang, a city of about 6 million people, sits in China’s central plains in the northwestern part of Henan Province, 100 kilometers west of the provincial capital Zhengzhou. New buildings dot the skyline, but not at the high density one sees in 1st or 2nd tier Chinese cities. Automobile and pedestrian traffic is light as well. Wide, tree-lined streets with bike lanes and generous sidewalks lend the city a pleasant atmosphere. I am often asked about the role of foreign architects working in China – particularly why China even needs foreign architects when there are many qualified Chinese architects. The answer is simple, albeit not the most politically correct: if we compare a piece of architecture to a consumer good, most Chinese buyers of luxury products will opt for a foreign name brand. Denny - Well articulated! Makes total sense. 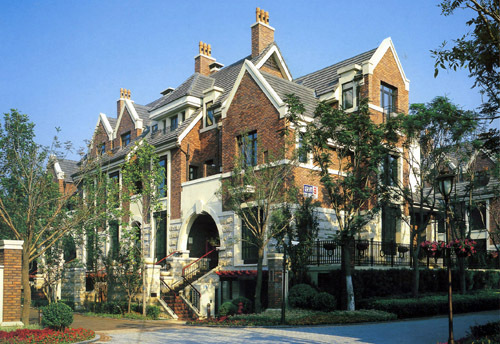 I wonder how long the Chinese “luxury buyer mentality” will stay connected to needed foreign influence as it relates to architecture? In the United States we have witnessed the German auto makers doing a great job of positioning their luxury cars to show off ones status… (BMW being extremely popular in Silicon Valley). As we’ve pointed out here on China Urban Development, there is no lack of misinformation about China in the Western media. This has been the case for many years and will likely continue into the future. Predicting the collapse of China has even become a career for some pundits. Brendan - I don’t disagree that Lane’s understanding of the issue is shallow at best, but the arguments made by Kam Wing Chan, a professor at the University of Washington, are quite valid and profound. Stephen Smith - I don’t know anything about the Roman aqueducts, but I would argue that America’s most innovative transit came out of not the government-dominated post-war era, but rather in the short period around the turn of the century when profit-driven transportation dominated. Though we’ve mostly destroyed all the evidence, the railroads, subways, elevated lines, and streetcar networks of 1880-1920 were unbelievably innovative, and arguably put us over the top in terms of being a superpower in a way that the Interstates did not. Furthermore, though while Japan obviously has its problems, its profit-driven mass transit system is undoubtedly the envy of the world, and far surpasses the American Interstate System in efficiency and technology. Adam Nathaniel Mayer - A Thomas, thanks for your comment. Going forward there will definitiely be an emphasis on keeping the ticket prices for China HSR lines affordable for middle-class Chinese travelers. Slowing down the anticipated speeds should help achieve this aim. I would also like to emphasize again that despite all the talk about ticket prices being unaffordable, every time I have been on a high-speed rail line in China the trains have been packed with nearly every seat full…so someone must be riding these trains. Michael in SZ - Maybe they have been too quick with the construction. I ft hey had gone a little slower they would have been able to avoid the mess that resulted from the corruption. Good to see ticket prices going down. Adam Nathaniel Mayer - Michael, I too have wondered why many of the new train stations for HSR are located inconveniently outside traditional city centers. I think it has to do mainly with the fact that this is where the most available land for development of this scale is located. As you mentioned, some of these stations are like airports- gigantic in size…it would not be practical to locate them in areas that would take up such prime real estate.